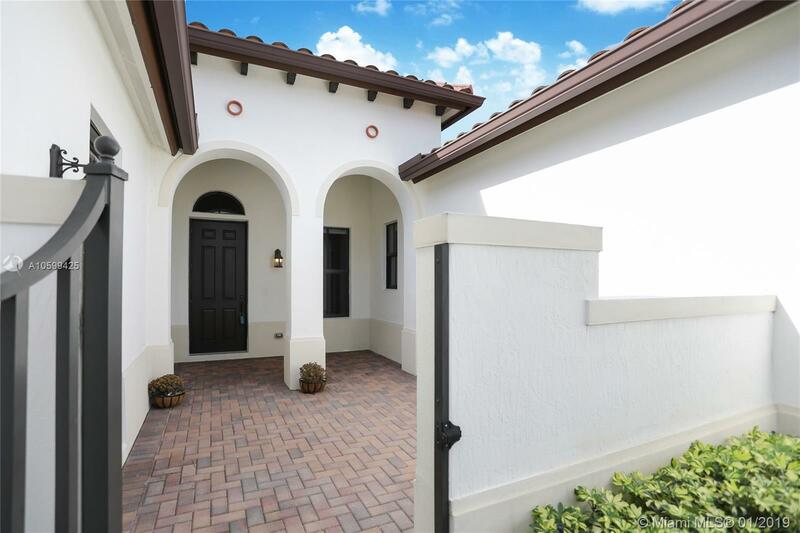 An amazing opportunity to own the most sought after model of Monterra Homes in Cooper City & Hollywood. This is a 5 Bed, 3.5 Bath, Split Level, 2 Car Garage, Upgraded High Impact Hurricane Windows, In-law Suite with Wet Bar, Separate Entrance & Absolute Privacy. Master Includes High Ceilings, Two Walk In Closets, Upgraded Cabinets & Tiles, Pebble Floors, Roman Tub. Upgraded Finishes Include: Hardwood Floors, High Cabinets, Marble Counter Tops, Subway Tiles, Luxury Finishes in All Baths, High Hat Lights Throughout, Sound System. Resort Style Private Pool, Jacuzzi, Outdoor Patio w/ Direct Lake Access. Gorgeous Views and Privacy. HOA/CDD Fees Incl'd in Taxes. A Must See. Directions: Directions From The South, Take Florida Turnpike North To Orlando, Merge Onto Fl-821 N, Take Exit 39 To Merge Onto I-75 N Towards Naples, Take Exit 11a For East Sheridan St, Turn Left Onto NW 88 Avenue/N. Douglas Rd, Turn Right Onto Monterra Blvd.